We combine high quality seasonal ingredients like pumpkin with hints of brown sugar and cinnamon to create this fall feature. Our fresh flavored pumpkin pasta is only here for a short time and available in limited cuts. 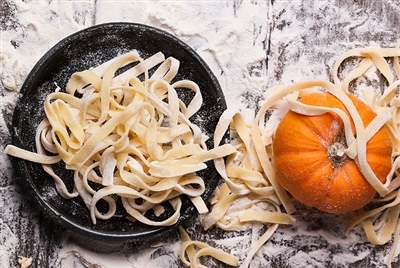 Shapes of pumpkin flavored pasta vary depending on production and availability.